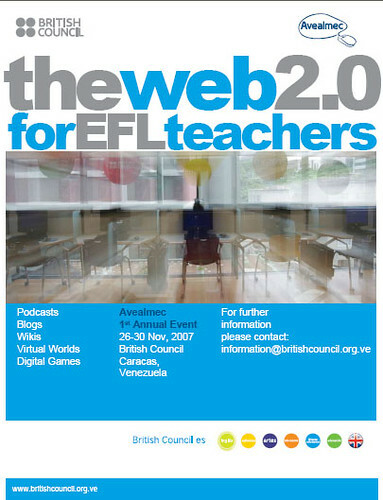 I'm currently in Caracas, Venezuela, where I'm the facilitator of this seminar: Web 2.0 for EFL Teachers: Podcasts, Blogs, Wikis, Virtual Worlds and Digital Games. The seminar has been organised by the British Council & AVEALMEC, a relatively new CALL Association for teachers in Venezuela. We have started a ning and over 40 people have joined, although only 27 of these people will be at the f2f seminar. 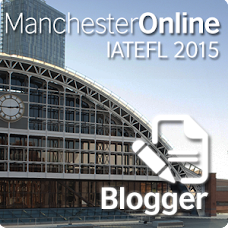 Today, day 1, we'll be looking at social software, blogging, RSS & tagging, and some of the teachers will be presenting a few of their blogging projects they have been involved in. It's great to see so much enthusiasm and expertise here in Venezuela and can't wait to get to know everyone better and find out what they have been doing. Each event has a limit of 100 participants, so you are encouraged to sign up early to avoid disappointment. You can sign up for the event in-world by clicking the sign on Edunation III or by sending an email to gavin.dudeney@theconsultants-e.com . Please make sure you include the name of the speaker/event you wish to attend. If sign-ups exceed 100, we will put people on a waiting list and they will be moved into the participant list as and when spaces become available.